Sporometrics is pleased to announce certification in the analysis of Legionella bacteria by the prestigious Environmental Legionella Isolation Techniques Evaluation (ELITE) program of the US Centers for Disease Control and Prevention (CDC). Sporometrics is the first Canadian independent laboratory to receive this industry-leading certification. While many organizations engaged in Legionella testing services also provide consulting and remediation services, at Sporometrics, we have long viewed that this practice is encumbered by conflict of interest, and as such, we are proud to offer our clients with a laboratory testing alternative that is fully independent. Culture and enumeration of Legionella from environmental sources involves several steps including concentration of the bacteria, resuspension, selective pre-treatments, and the use of complex media. Use of a suitable isolation protocol is critical for determining whether Legionella are present in a sample and at what concentration. 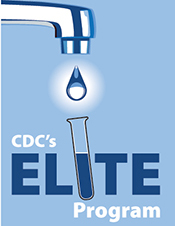 The ELITE Program was created as a way for laboratories to test Legionella isolation techniques against standardized samples. 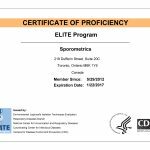 Certification in the ELITE program provides the highest level of confidence the Sporometrics Legionella testing services are highly accurate and defensible, meeting the highest international industry standards. We provide culture-based testing services that meet the industry gold-standard with three service options: 1) presence/ absence of Legionella species; 2) quantification of Legionella pneumophila; and 3) Quantification and serogroup characterization of Legionella pneumophila and identification of Legionella species. All culture-based tests have a turn-around time of 14 days or less. For rapid screening for water and swab samples, we also offer a molecular genetic test for Legionella pneumophila by qPCR. Although this test cannot distinguish living from non-living legionellae, it is both highly sensitive and accurate, and can reliably rule-out the presence of L. pneumophila on a rapid basis, normally within 24 hr. Please contact us to discuss your Legionella testing needs.